The Tottenham midfielder Dele Alli has signed a new six-year contract, the club announced. 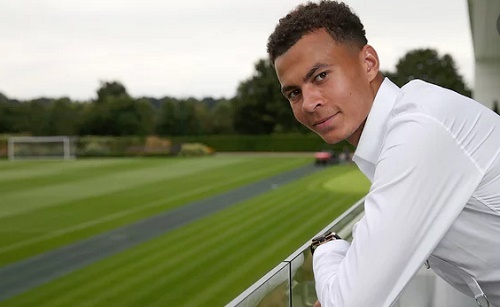 Alli joined Spurs from MK Dons in February 2015 and his new deal at White Hart Lane will run until 2022. The 20-year-old has scored 11 goals and nine assists in his 38 Premier League appearances for Mauricio Pochettino’s side. He follows fellow first-team players Christian Eriksen, Eric Dier, Tom Carroll and Harry Winks, who have all extended their contracts in the last month.